Residents of Canton we already knew it, but now it is official, Canton is “The Best Place To Live in Georgia”! Earlier this year Canton was named as one of the “Most Affordable Places to Live in Georgia” and one of the “Safest Cities in Georgia” but this takes our great city to the top of the list. 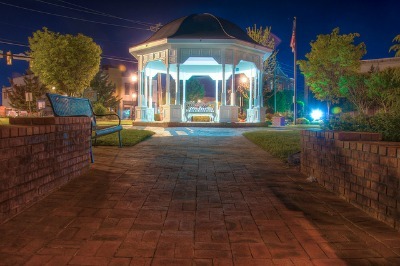 This latest honor was bestowed on the city of Canton by the Movoto real estate blog. Overall Cherokee county was well represented on this list with the City of Woodstock being named to the list at eighth place. In this designation, Movoto cited that Canton ranked at the top of the list because of its low 7.7 percent unemployment rate, a crime rate 49 percent lower than the rest of Georgia, and a sales tax of only 6 percent, and some of the finest weather in the state with an average summer temperature of 76. To compile this list Movoto looked at all places in the state with a population of 10,000 or more residents (81 in total) then evaluated the following criteria using data available from the U.S. Census, FBI, and business listings. Total amenities, Quality of life (cost of living, median home price, median rent, median household income, and student to teacher ratio), Total crimes, Tax rates (sales tax and income tax), Unemployment, Commute time, Weather (temperature and air quality. They then ranked each city on a scale of 1 to 81 based on the above data with one being the best possible score. That number was then averaged and the cities with the lowest numbers were named the best in the state.